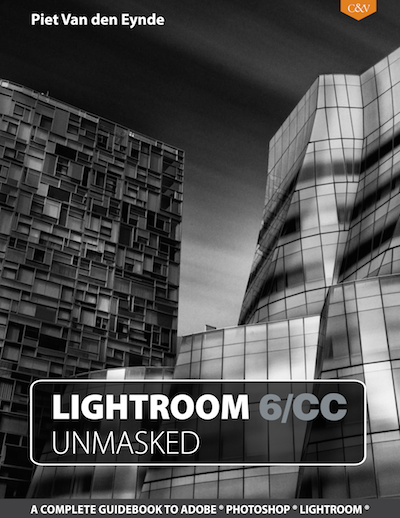 Lightroom 6/CC Unmasked is a resource like no other. This PDF is full of high-resolution screenshots, step-by-step instructions, and the tips, tricks and ideas that make digital darkroom work productive and more enjoyable. At over 300 pages Lightroom 6/CC Unmasked is 13 chapters deep, covering everything from an introduction to Lightroom and non-destructive editing to full discussions and detailed instructions of the Library and catalogs, to every tool in the Develop, Map, Book, Slideshow, Print, and Web Modules. This massive eBook also includes an amazing collection of 69 Cases which provide context and insights on the smaller topics that often get overlooked (nine more cases than the previous edition). These additional insights put the tools and features into context, helping you learn and apply what you read along the way. Every module is covered in-depth, even third-party applications and plugins are tackled head-on. Lightroom-to-Photoshop integration is also included.